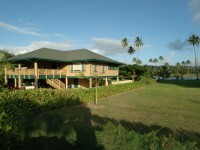 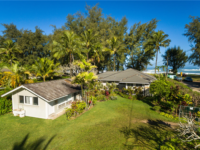 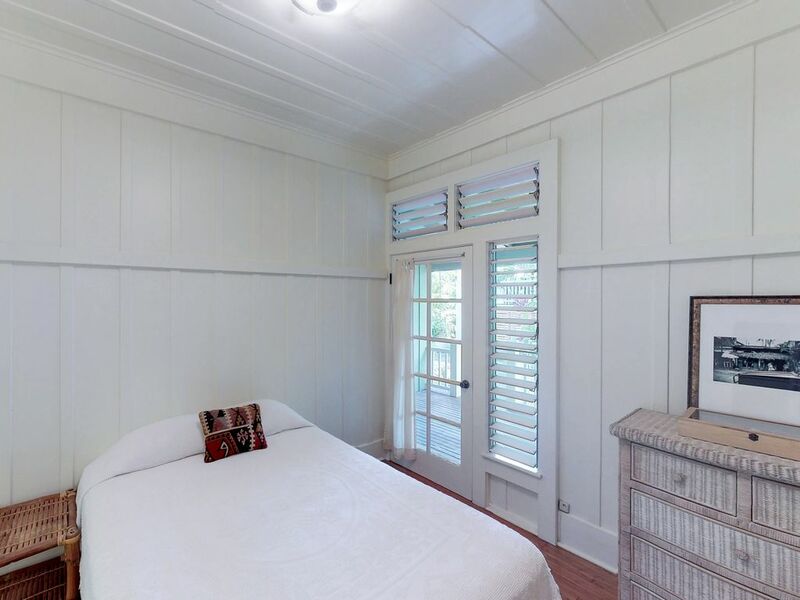 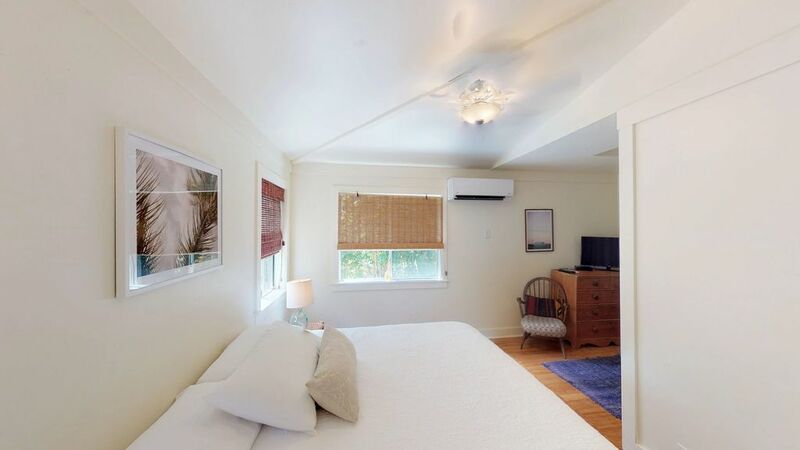 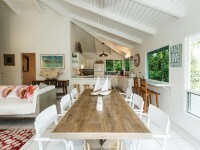 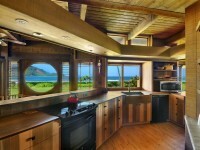 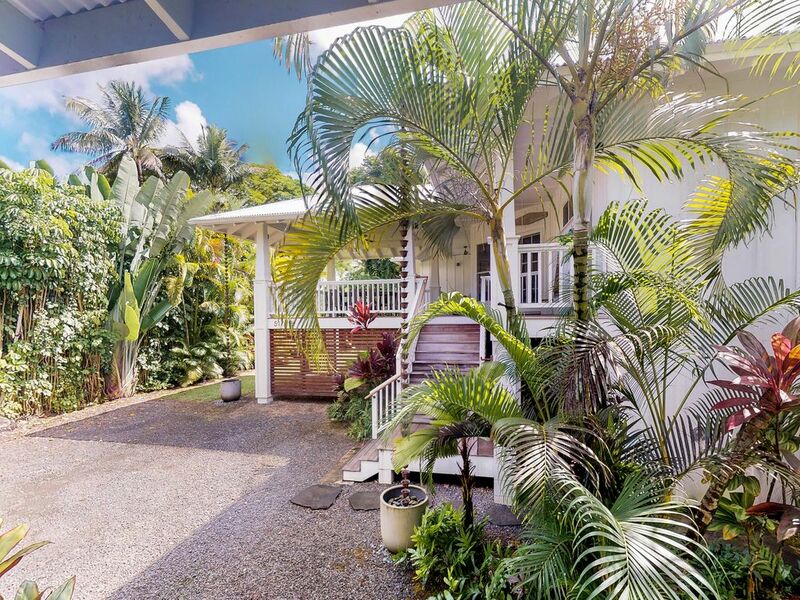 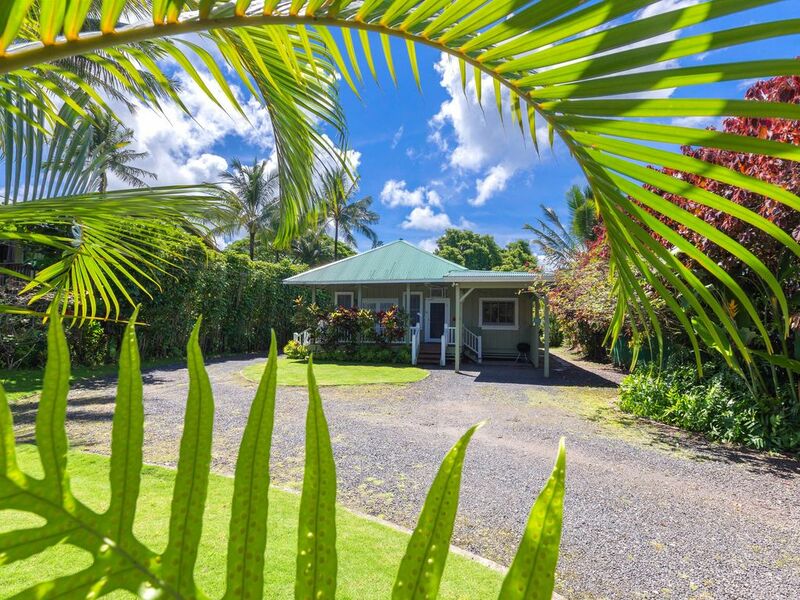 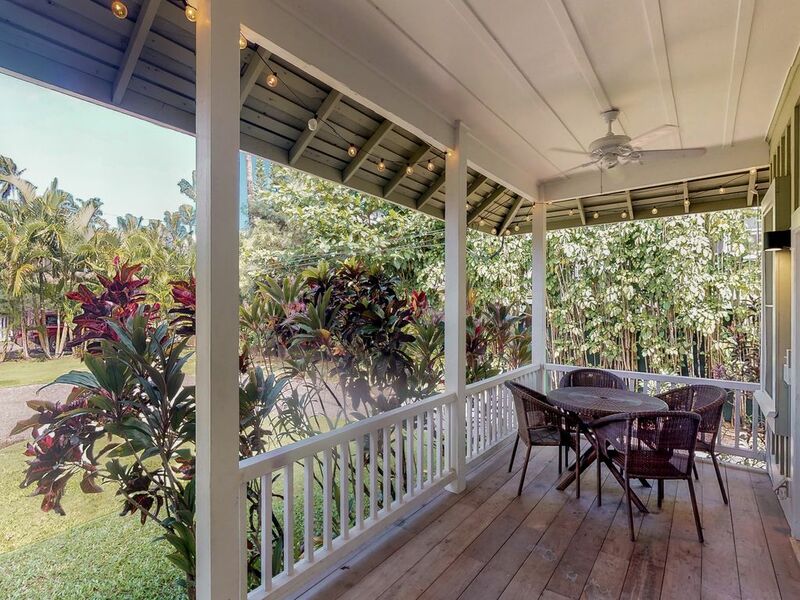 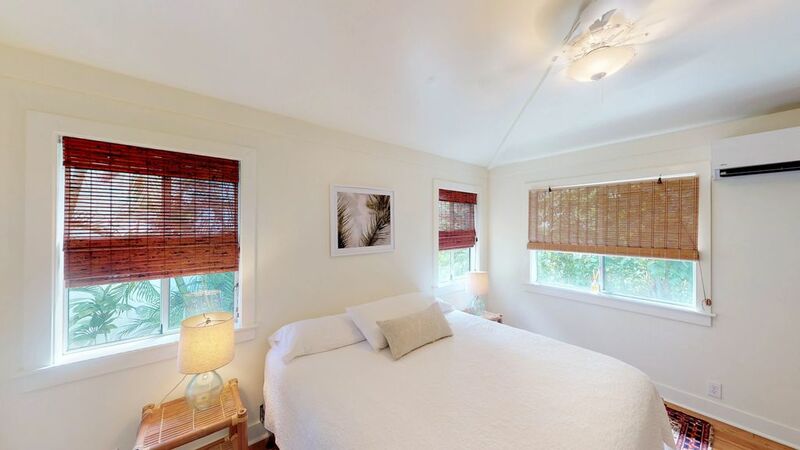 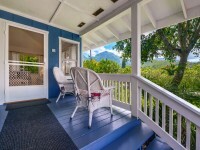 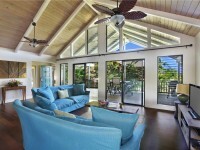 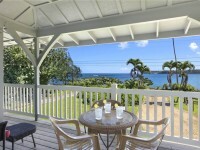 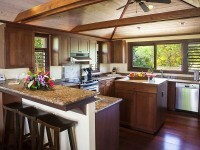 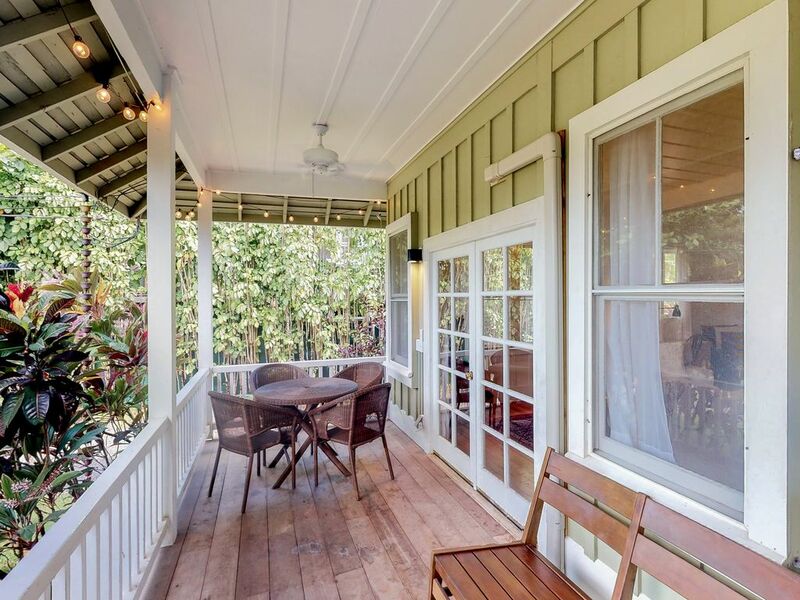 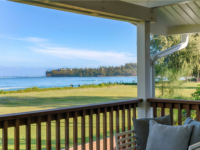 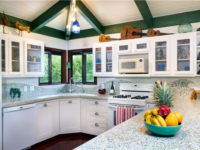 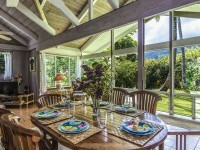 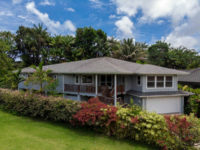 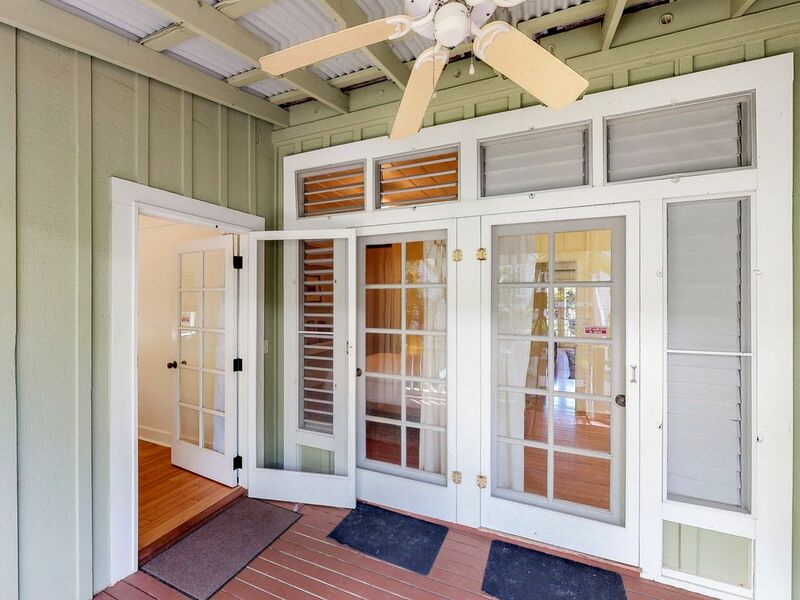 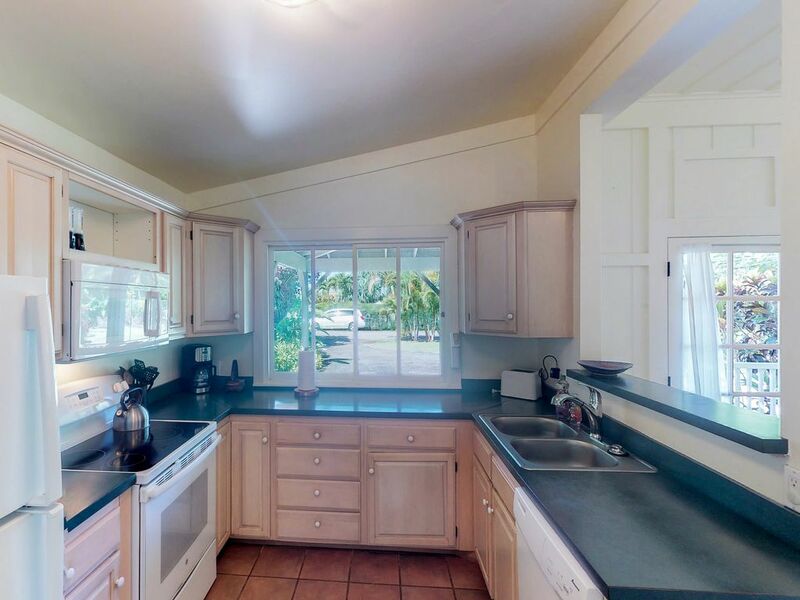 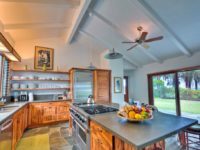 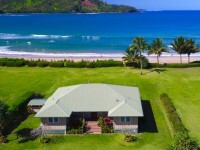 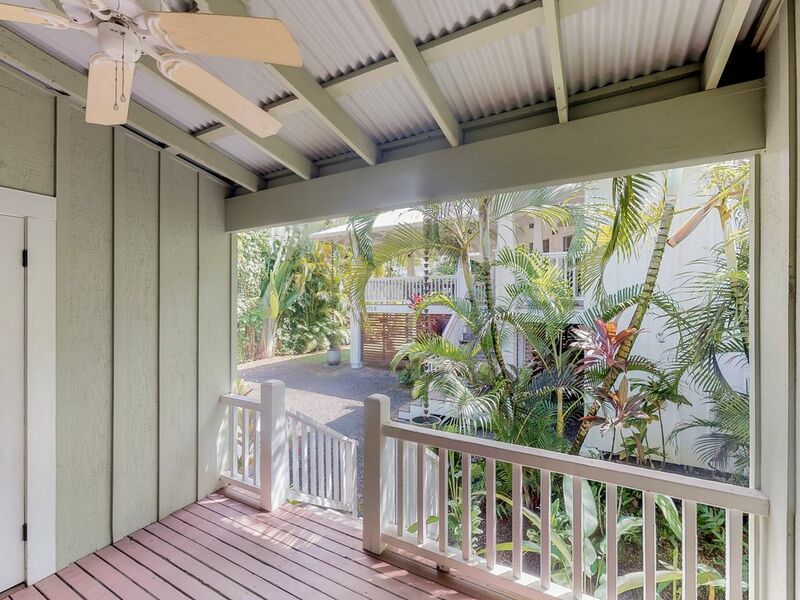 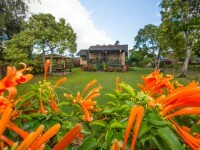 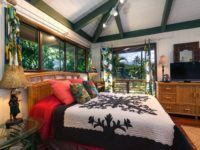 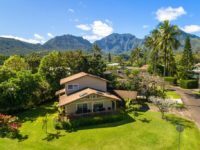 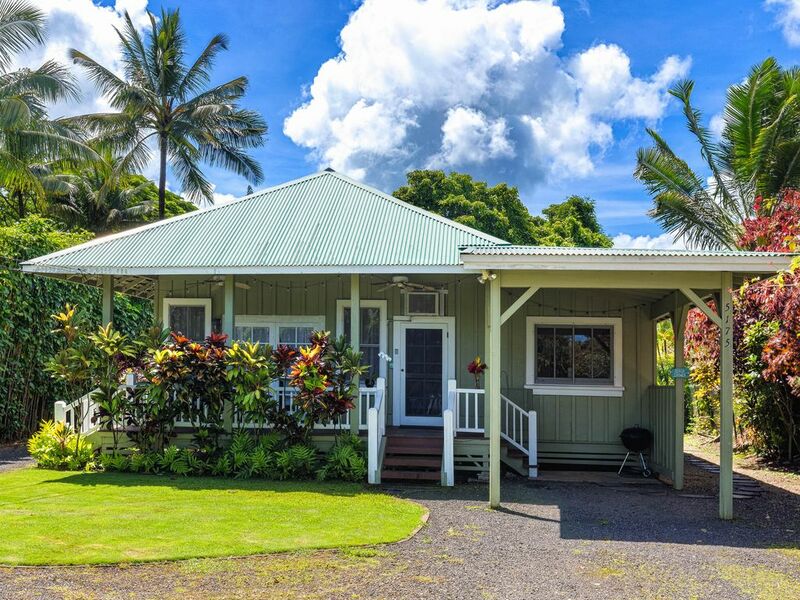 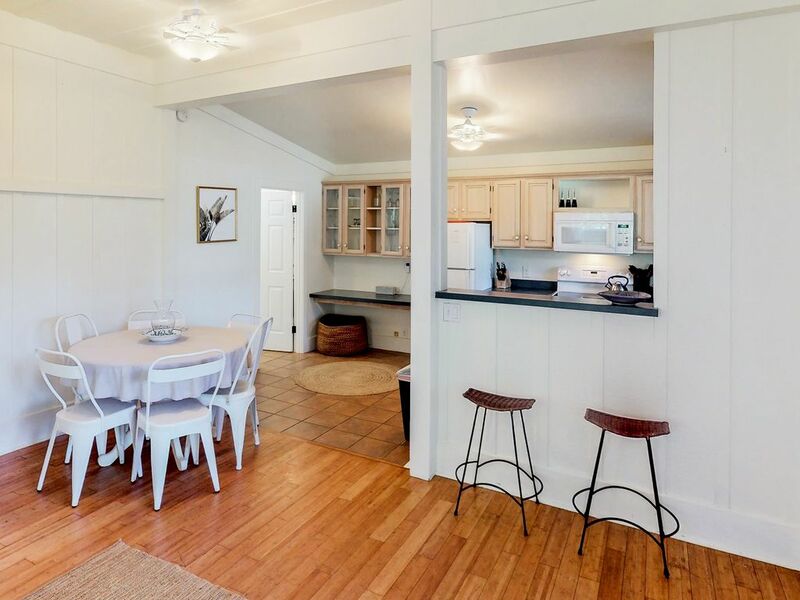 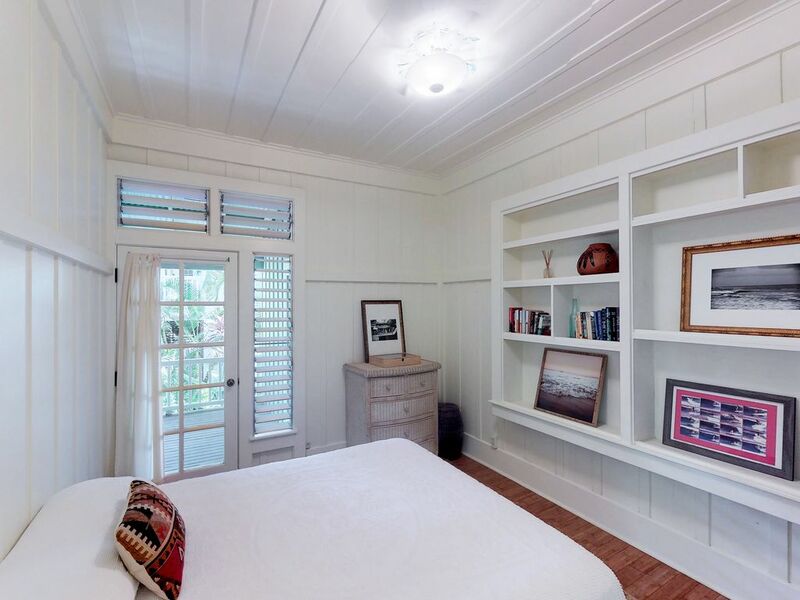 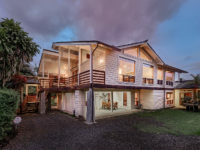 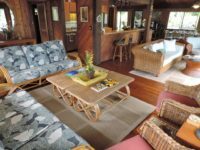 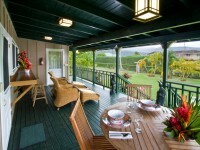 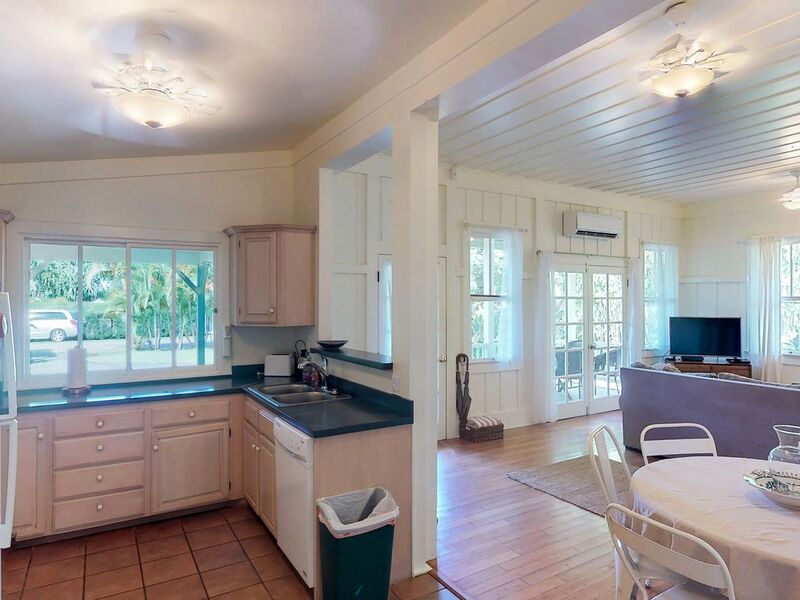 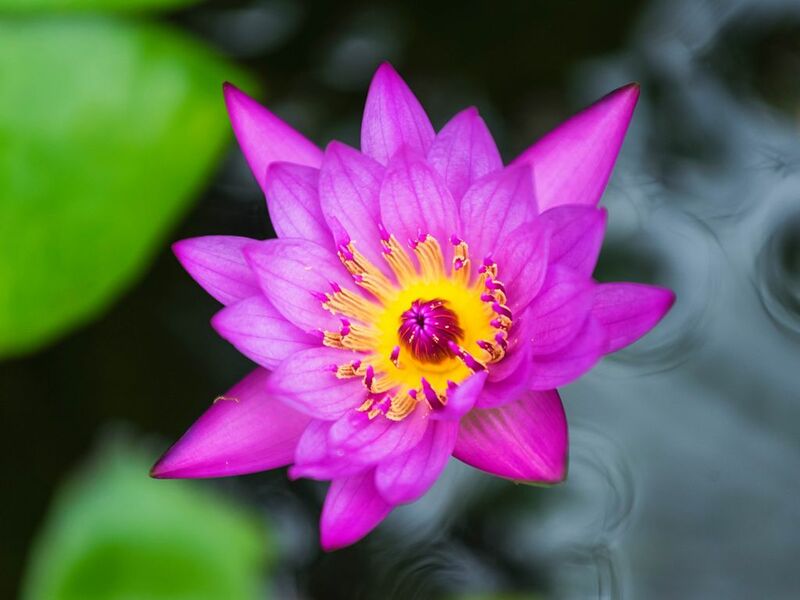 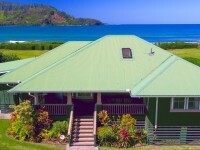 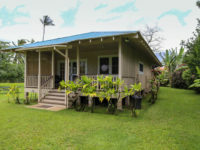 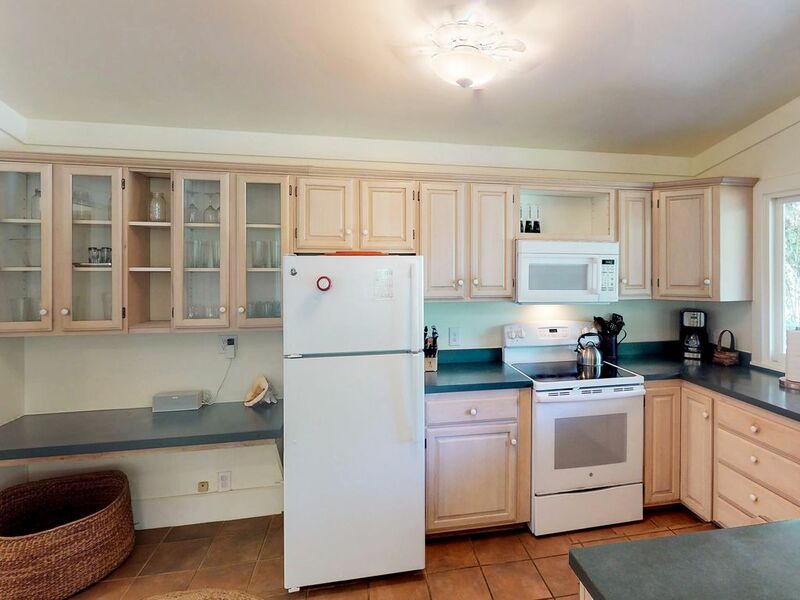 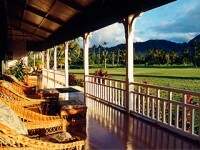 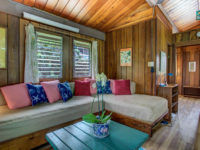 HANALEI, KAUAI VACATION RENTAL: Kuuipo Hale is located on Kauai’s north shore in the charming town of HANALEI, this Hawaiian plantation-style home is very very sweet with its white picked fence and flower gardens sprinkled around. 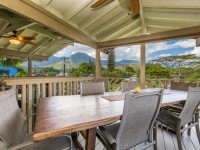 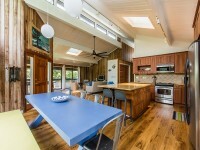 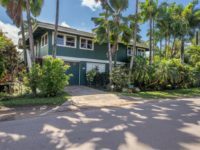 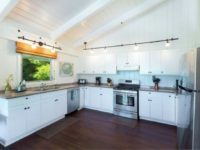 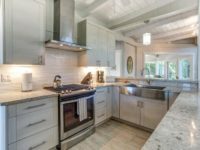 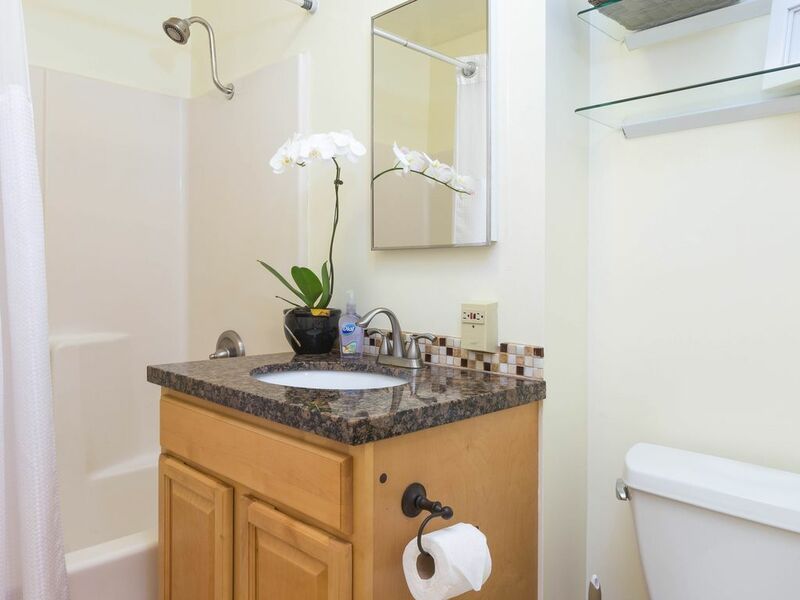 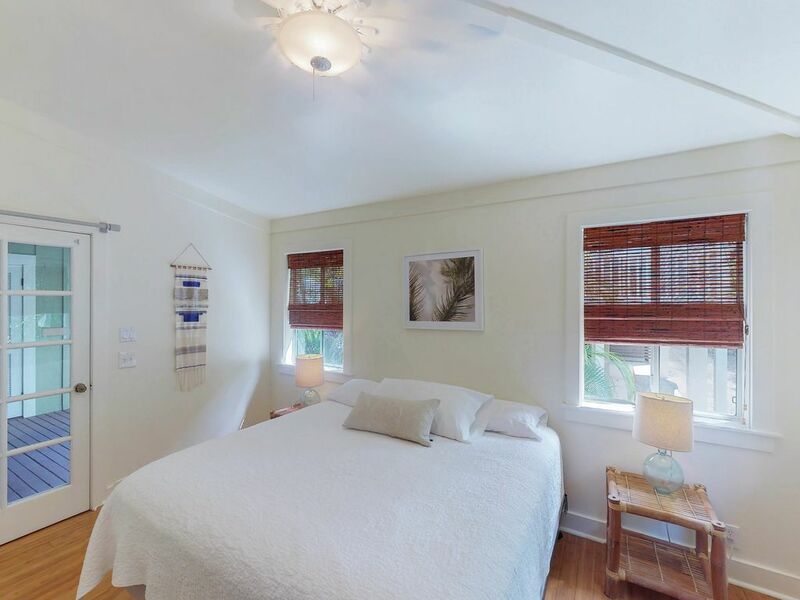 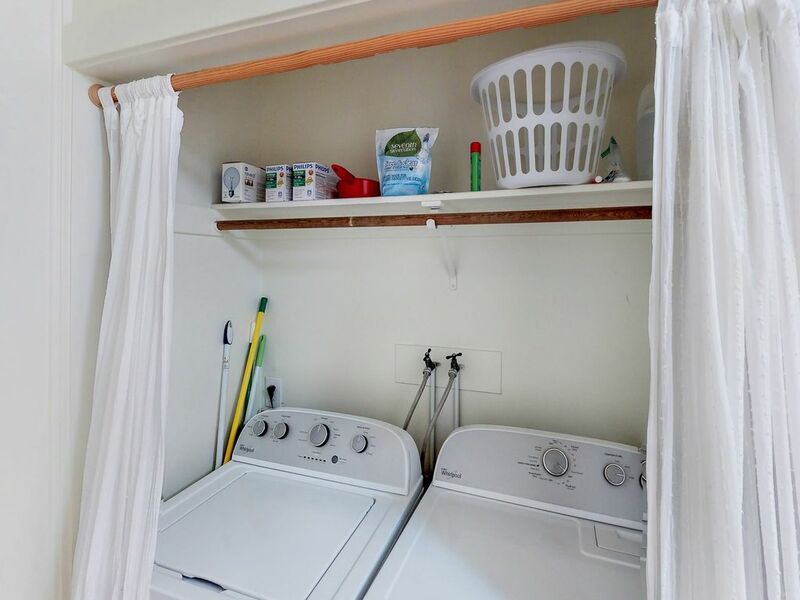 Its location right across the street from a beach access path makes it a very short walk to the beach at crescent-shaped Hanalei Bay. 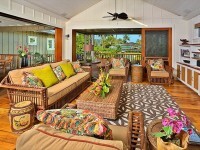 Kuuipo Hale has a very comfortable, light & warm feeling. 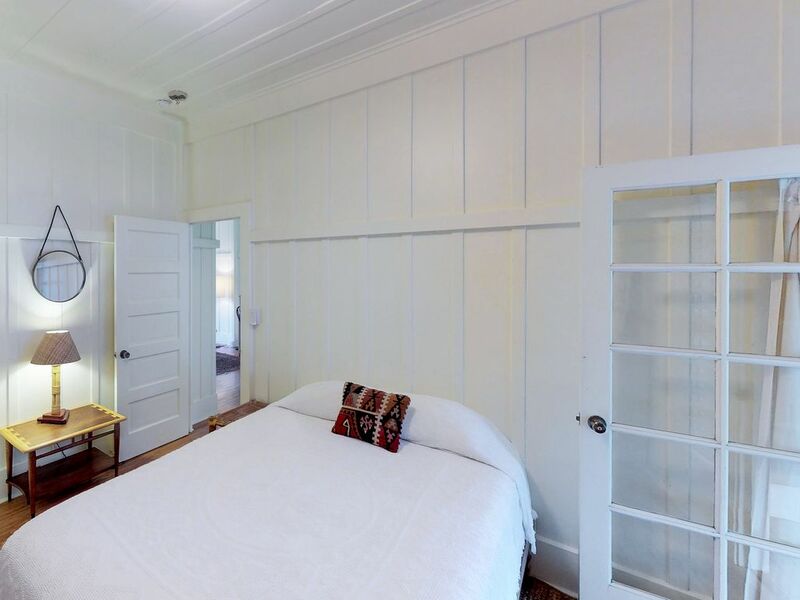 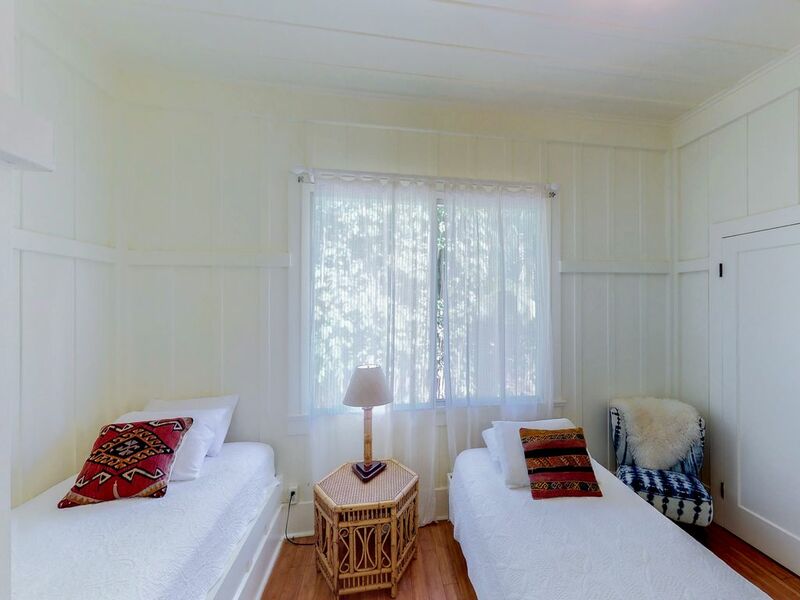 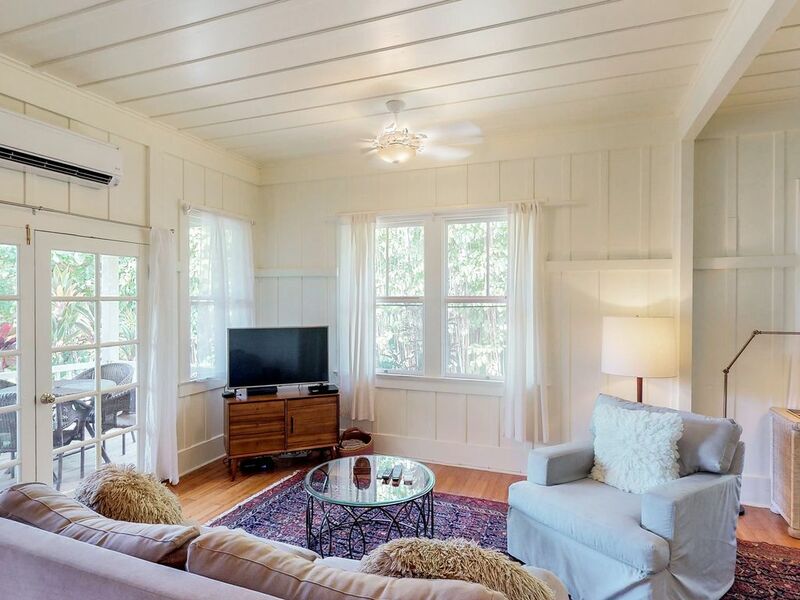 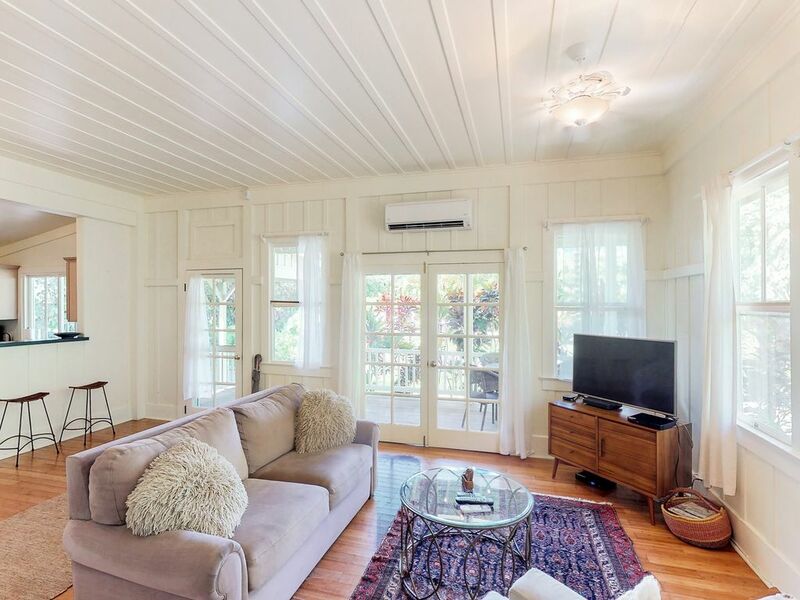 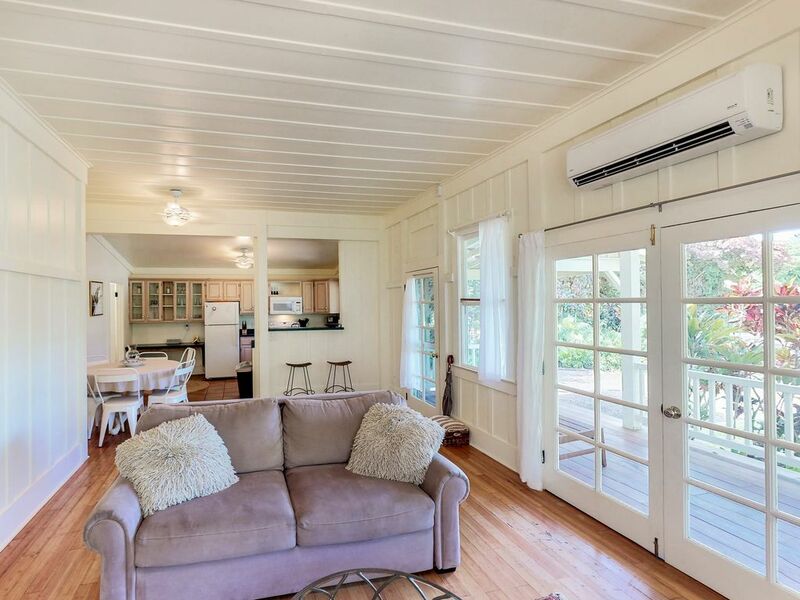 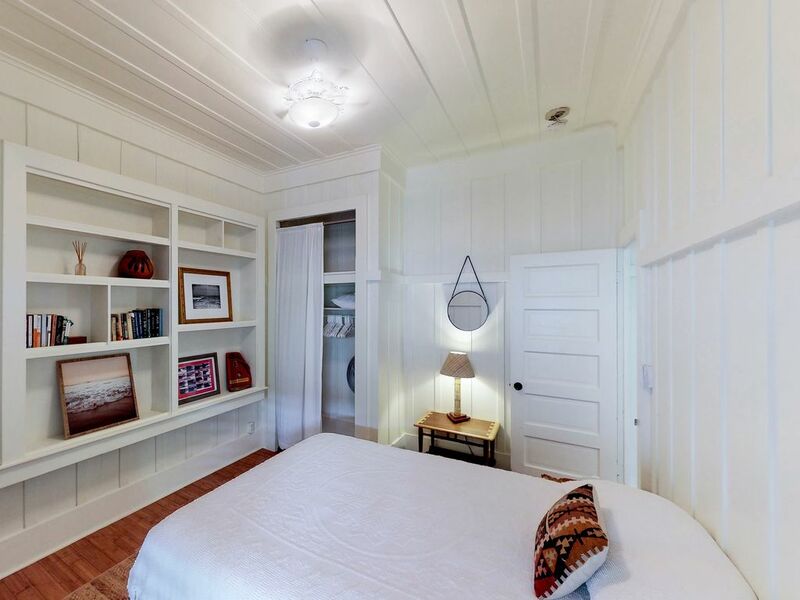 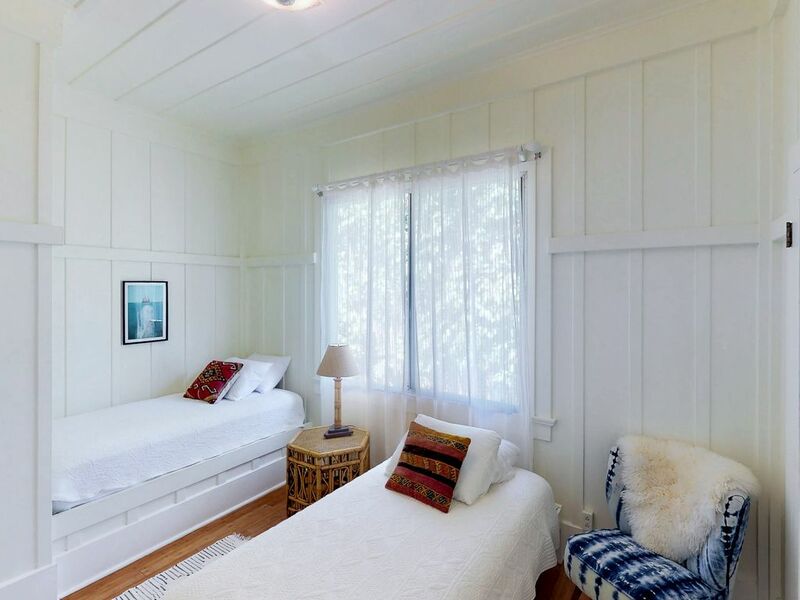 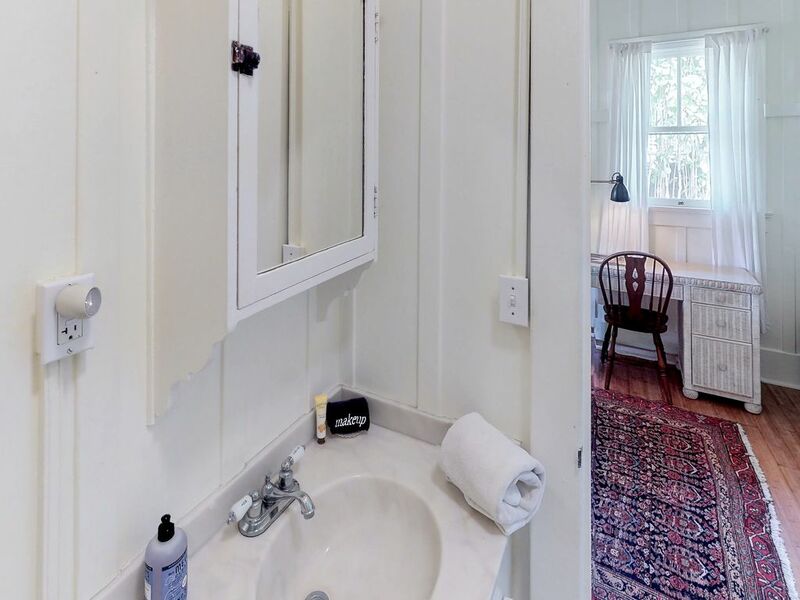 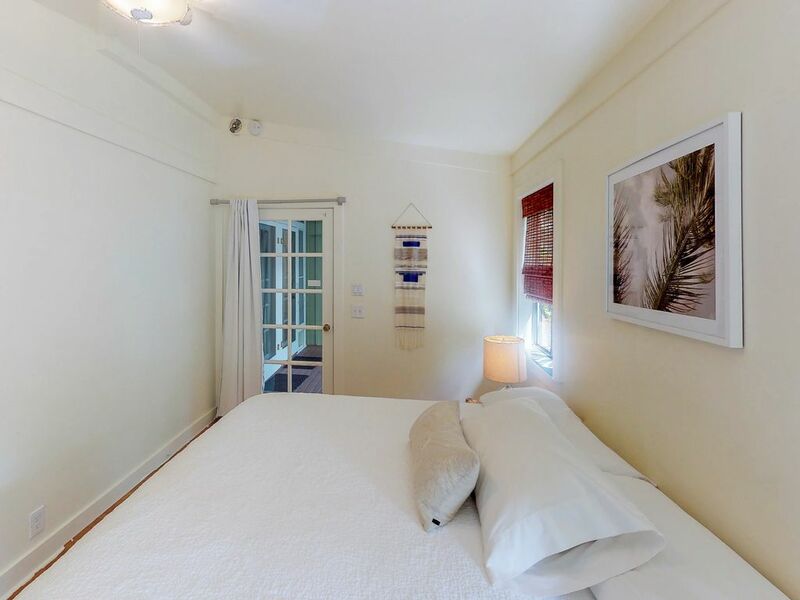 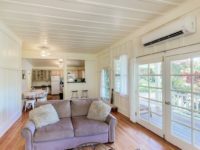 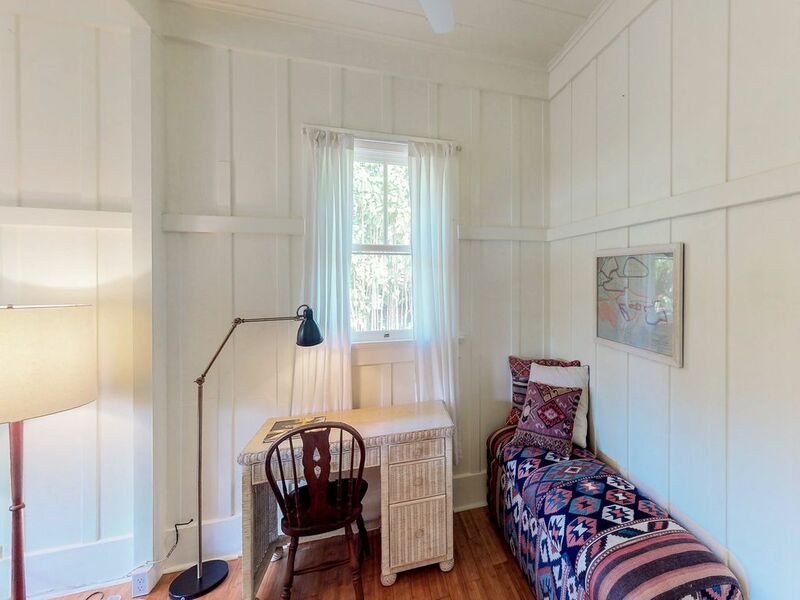 This historical cottage has bamboo wood floors through-out, white linen curtains, high-french doorways (and AC!) 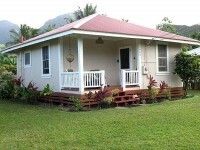 and is absolutely perfect for families with decks out front/ back and a fenced in yard. 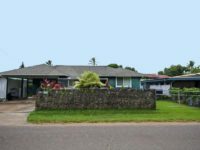 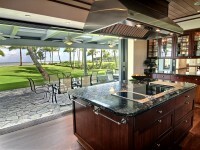 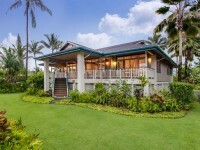 Kuuipo Hale shares a double-sized lot with a back house, Ipo Hale.